TBILISI, DFWatch–Though officially on summer break, the parliament in Georgia convened on Saturday to declare trust in the government after seven of the ministers were replaced. The political debate before the vote was lighter than usual, and included a few jokes and blunders that made for conversation material throughout the day. When Interior Minister Alexandre Chikaidze was recounting the possibly the biggest drugs bust ever made in Europe, when a trailer was stopped in Georgia July 14 containing 2.8 tons of liquid heroin, Chikaidze said his investigators have found out it was Afghan drugs, belonging to a man called Taliban. “It was planned to take it to Europe and with this money, Taliban, this person, was financed,” he said (see video on right). 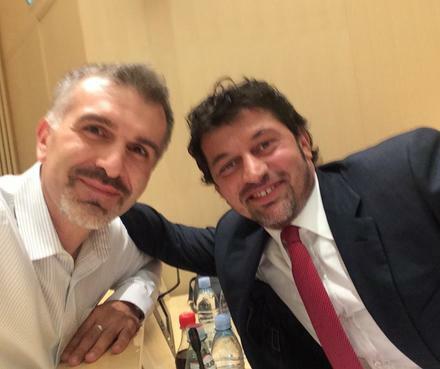 Energy Minister Kakhi Kaladze was also in the spotlight for an old ‘selfie’ in which he appeared next to a member of the Georgian mafia underworld nicknamed Taivanchika. Kaladze said when he was a successful football player in the past, he took pictures with many people and wasn’t able to ask about their past every time. He promised Khachidze, to take picture with him after the session, which they did, in fact. 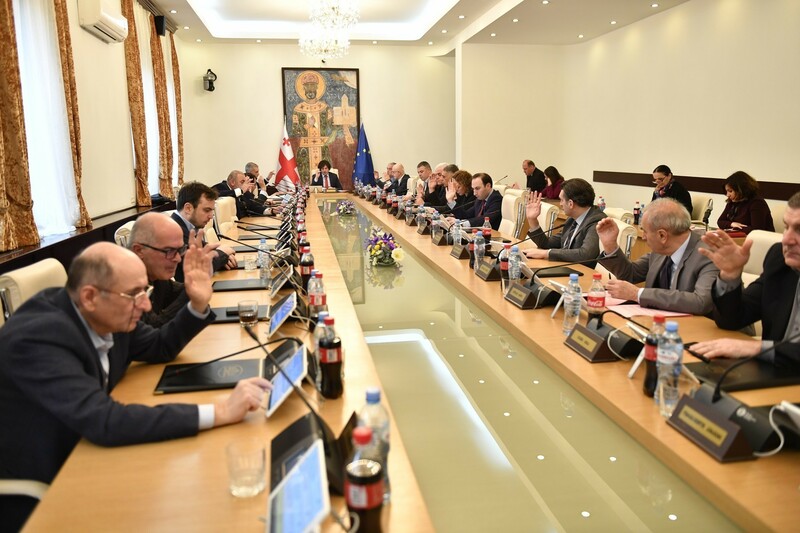 “We are a constructive, but critical opposition, which will be critical towards unemployment, the budget, the future of people and we will do this in the future,” Bakradze said. He criticized the government for talking about the past all the time, instead of the future. After his speech, the National Movement MPs left the hall. Usupashvili said it is an important day when the government is affirmed, and noted that he had brought with him three documents: the constitution, the government’s program and the association agreement with the EU, in order to agree how the coalition will continue governing the country in the next two years. Prime Minister Gharibashvili dismissed seven ministers on July 21: the ministers for agriculture, prisons, culture, infrastructure, diaspora, refugees and the environment. Two of them remained as ministers, but in different positions. He introduced the five remaining candidates in the following days.